Esprit Orchestra, a Canadian leader in new orchestra music, launches its new season this week with the first of five concerts, all packed with new and brand new works. On October 24, 8pm, Esprit’s cosmos-themed season opener is titled For Orbiting Spheres, named after the first piece on the programme by American composer Missy Mazzoli (Proving Up, Breaking the Waves). Mazzoli’s work gets its Canadian premiere along with Unsuk Chin’s Chorós Chordón, and Tristan Keuris’ Sinfonia. November 28, 8pm is North/White, a programme that includes work by Canadian favourite Alexina Louie, Icelandic composer Anna Thorvaldsdottir’s Dreaming. The concert gets its name from the work by R. Murray Schafer, who in a depiction of the dichotomy between Arctic beauty and environmental destruction, places a snowmobile in the percussion section. Yes, a snowmobile. “I decided to place a snowmobile in the percussion section as a symbol of noise and pollution generated by technology,” Schafer clarifies. Esprit Orchestra. Photo: Bo Huang. On January 20, 8pm, Esprit’s Constellations concert will mark the opening of the University of Toronto New Music Festival. On the programme are works by Toshio Hosokawa and Alison Yun-Fei Jiang, Claude Vivier’s Orion, and the world premiere of Christopher Goddard’s Les tringles des sistres tintaient (a re-imagining of the Act II opening of Bizet’s Carmen). Esprit’s 2018⁄19 season closes on March 24, 8pm, with Grand Slam! Joseph Johnson, principal cellist of the Toronto Symphony Orchestra, plays Unsuk Chin’s Cello Concerto, and Esprit’s principal percussionist Ryan Scott performs Maki Ishii’s Afro Concerto. The concert also features the world premiere of Canadian composer Christopher Thornborrow’s Trompe l’oeil. Esprit Orchestra is also relaunching its New Wave Festival, originally established in 2002. On April 5, 7:30pm, New Wave Reprise features six world premieres by emerging Canadian composers. 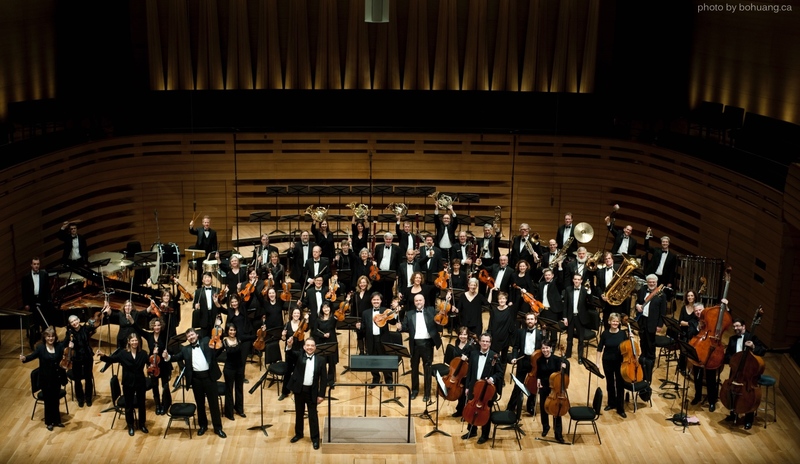 The four mainstage concerts of Esprit Orchestra’s 2018⁄19 season happen at Toronto’s Koerner Hall at 8pm. Pre-concert chats happen at 7:15pm, moderated by Alexina Louie. New Wave Reprise goes up at Trinity St. Paul’s Centre, with John Rea as keynote speaker. For full details and ticket information, click here or call (416) 815-7887.